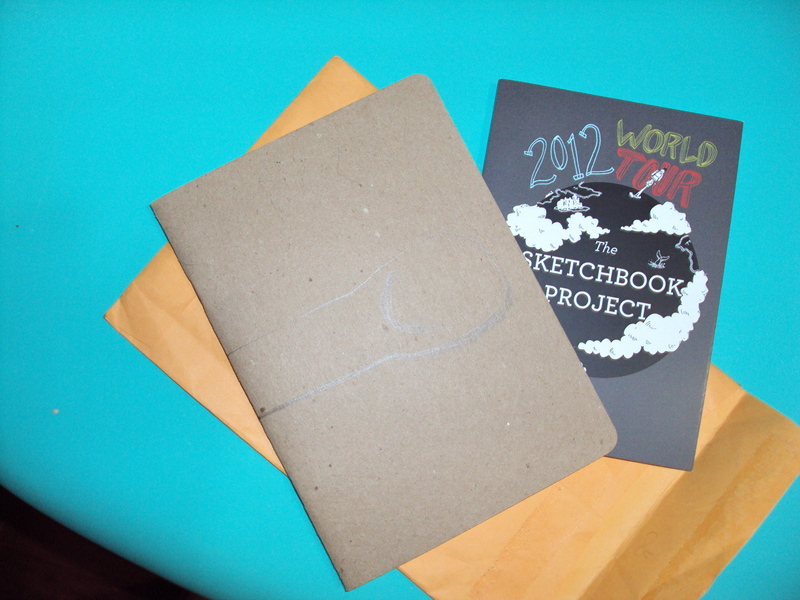 Last night I attended the reception for the Sketchbook Project 2012 at the Brooklyn Art Library. It was a lot of fun. The concept is simple. 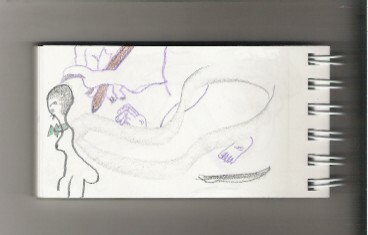 You get a free library card, check out some sketchbooks, look at the art, hand them back in. Done. The only thing is books are not allowed to leave the premises so make sure you allot more than 5 minutes because you will want to keep checking books out! Okay I admit it. I checked out my own sketchbook. How could I not? Especially since it is now in their permanent collection. Below are some pictures of me from last night enjoying my sketchbook (yes I checked out other books too:P). Here is a drawing I did that I call “Swirl Walking”. I really like it. I did a reproduction of it for the sketchbook. It isn’t exactly the same, but the layout is. It was also officially discussed & decided today that my tree would be put in my friend Shannon’s yard. To document the natural recycling process. Here is two more pages from my sketchbook project. I scanned all the pages and I am going to mail it out tomorrow. With the time restraints, I think I did pretty well. After tomorrow on to the canvases!